A year ago I joined the Getty Foundation and began managing the Multicultural Undergraduate Internship program. 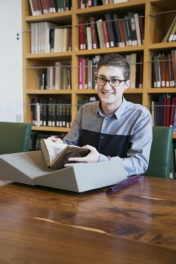 Every summer for the past 20 years the Getty Foundation has provided grants for internships at the Getty and at museums and visual arts organizations across Los Angeles, with the aim of diversifying the staff of these institutions. To date, the Foundation’s internship program has over 2,500 alumni, 32% of whom are working in arts organizations. 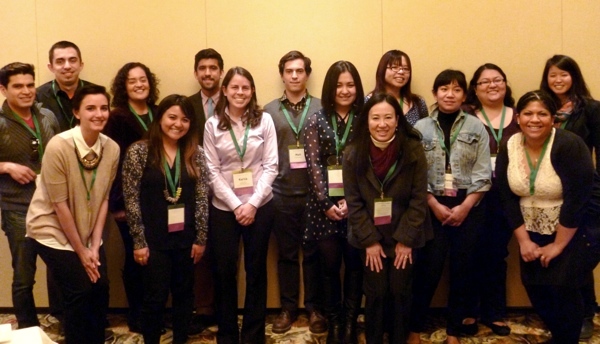 Last week I had the opportunity to spend three days with alumni of the program at the annual conference of the California Association of Museums (CAM) in Santa Barbara. It was an inspiring three days in which I got to meet and speak with the next generation of museum professionals. For the past three years the Foundation has offered support for the program’s alumni to attend conferences in the museum field. Although the 19 young professionals I met were at various stages in their careers, all showed great commitment to the arts and to pursuing careers in museums and arts nonprofits. I left the conference with many wonderful stories about the impact of the Getty’s program and ongoing professional development support; here are just a few I’d like to share. One Getty alum, Alex Capriotti, had her first experience working in a museum in 2007 when she was a Multicultural Undergraduate Intern in the external affairs department at the Skirball Cultural Center. Since her internship at the Skirball, Alex has risen to director of marketing at the Los Angeles County Museum of Art and was elected to CAM’s board of directors at the beginning of the conference. I enjoyed hearing her speak during a conference session on the communications campaign for LACMA’s major outdoor artwork Levitated Mass which was installed last summer. As anyone who was in Los Angeles at the time can attest, this story was everywhere, and Alex, who has expertise in social media, gave conference attendees advice on how to maximize and promote their online presence. 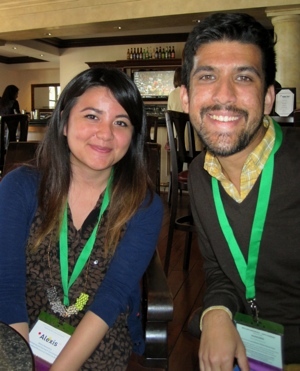 While the sessions provided an obvious way for former Getty interns to connect with the museum community, the coffee breaks between sessions turned out to be just as valuable for two other alumni. Kabir Singh, education programs manager at the Pacific Asia Museum, and Alexis Kaneshiro, marketing and outreach coordinator at the Pasadena Museum of California Art, found a moment to speak between presentations on the last day. Although they work around the corner from one another, these two alumni had never met. By the end of the coffee break, they had discovered several areas of shared interest and had already begun making plans for possible collaborations between their museums and others in the community. 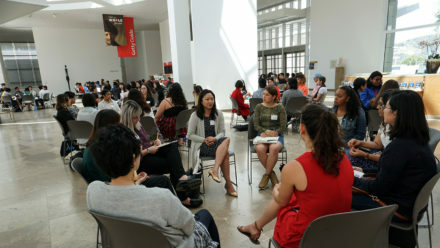 Hearing about their conversations got me thinking about the value the CAM conference and other professional development opportunities we provide to Getty alumni who are starting careers in museums. Young professionals bring great ideas and enthusiasm to their organizations, but it is through the connections they make with colleagues that they learn about the larger museum community and thereby improve their own practice. Conferences, like CAM, are forums where alumni of the internship program can reflect on their goals, find inspiration in the successes of others, and meet peers in the field who will be resources as these they move forward in their careers. Cynthia, this is such a wonderful testament to the Getty Foundation’s commitment to future museum leaders. 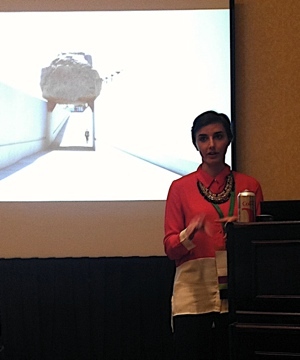 I am absolutely thrilled that the Getty Scholarship recipients value their experience at the CAM conference. They may not know it, but they have a very positive impact on other attendees, too. I hear repeatedly that their enthusiasm and curiosity is contagious – which helps create a culture of inquiry and openness for everyone. Alex Capriotti is a role model for other emerging professionals and we are thankful that she, and other Getty Scholarship recipients, have served on CAM committees for years. 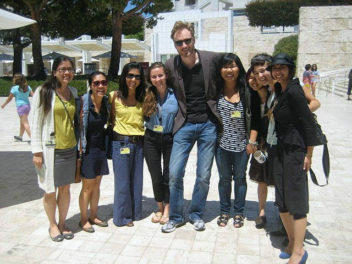 A hearty thanks to you and others at The Getty Foundation for supporting these new professionals. Now let’s figure out how to replicate this program in Northern California! Celeste, it is great to hear that the Getty Multicultural Undergraduate Internship alumni contribute as much to CAM as they benefit. Alex, Kabir, and Alexis are representative of the enthusiasm and professionalism of all the Getty Scholars. Thanks to CAM for creating a forum for these young professionals to engage with the field and further their careers!